On 1 June 2012 the official opening and naming of The Queen Elizabeth Diamond Jubilee Wood flagship site was carried out by Her Royal Highness The Princess Royal Normanton-le-Heath in Leicestershire. 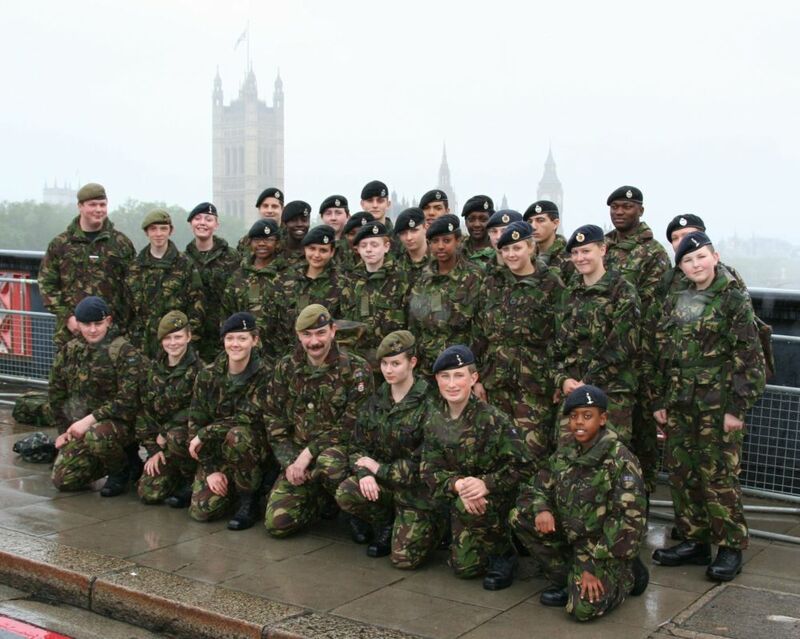 Cadets from a F Squadron detachment of Leicestershire, Northamptonshire and Rutland ACF supported the event commanded by Officer Commanding Major Ian Flamson. The detachment Corps of Drums welcomed the Princess and played during her departure. Cadets povided a Guard of Honour and the remainder acted as marshals, guides and pickets as well as providing all the refreshments . Major Flamson said, "We were honoured to be part of this momentous occasion; cadets from Leicestershire Northamptonshire & Rutland ACF have planted many of the trees in the newly created National Forests so we were delighted to be invited to assist The Woodland Trust on the official opening and naming of this site. The cadets played a significant part in today's celebrations and I am enormously proud of them all"
Her Royal Highness The Princess Royal, joined by hundreds of people, planted a tree on the site to mark the occasion and start the Jubilee celebrations. The Queen Elizabeth Diamond Jubilee Wood is the centrepiece of the Woodland Trusts’ historic Jubilee Woods project and the purchase of the site was completed last month. This wondrous 186 hectare (460 acre) site is a diverse and sweeping landscape, ideal for woodland creation, providing homes for wildlife and areas for people to relax, explore and enjoy.